John Gruber of Daring Fireball suggested in a post on Sunday, "Dont think of iCloud as the new MobileMe; think of iCloud as the new iTunes," though he qualified the report by noting it as "fourth-hand information, at best." Gruber is generally well-connected when it comes to Apple predictions and has a reliable track record. Gruber acknowledged that he knows just a "handful of minor features" regarding Monday's announcements for iOS 5 and iCloud. "These things have been as well-kept secrets as any major projects from Apple in recent years," he wrote. However, Gruber speculates that iCloud would replace iTunes as the "central store for almost all data" stored on iPhones, iPods and iPads, moving the information to the cloud. Thus, iCloud could do away with USB tethering and syncing, allowing users to setup new iOS devices just by logging into an iTunes account. Such a service would, however, affect MobileMe as well, as iTunes and MobileMe overlap on the kind of data they store. For example, iTunes currently syncs "audio, movies and TV shows, iBooks e-books, App Store apps, contacts, calendars, bookmarks, notes, and any sort of files shared between iOS apps," while MobileMe's "major selling points" include cloud-based syncing of bookmarks, contacts, calendars and files. As such, if the iCloud service were to mirror iTunes backups for iOS devices, MobileMe could appear to be obsolete, especially with its $99 price tag. Gruber also pointed out that if Apple can reach a deal with the movie studios for iCloud, the second-generation Apple TV could more easily stream purchased movies instead of just renting them. AppleInsider has heard that iCloud is more than just music, allowing users to sync and store information currently managed by iTunes and MobileMe. 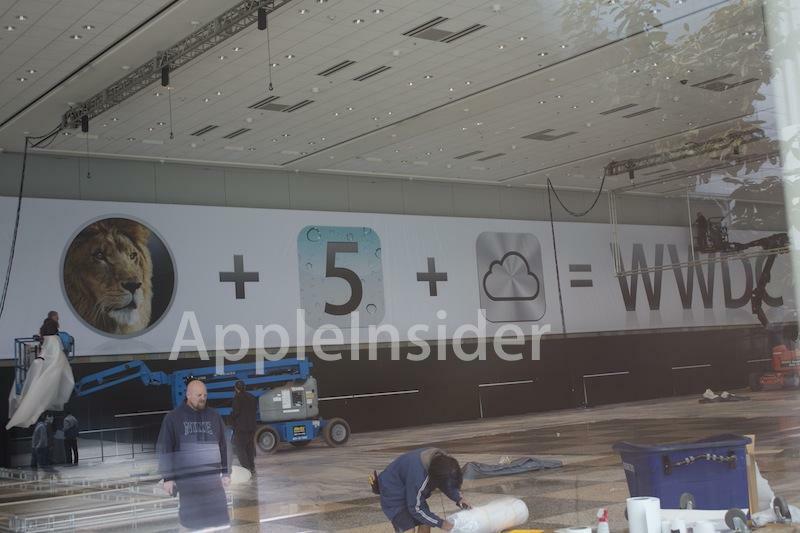 Sources have also told AppleInsider that Apple may offer portions of the iCloud service free to Mac owners who upgrade to Mac OS X Lion, which comes out this summer. The much-rumored streaming music feature of iCloud is expected to cost money. Multiple music industry insiders have indicated that Apple has successfully negotiated new licenses with the major record labels that would allow users to stream music. One report suggested last week that iCloud will initially be offered free to iTunes music customers, with an eventual $25 subscription fee.